If the Division of Child Protection and Permanency (known as DCP&P) removes your child from your custody, DCP&P may then place the child in the care of the other biological parent and request that custody be transferred to the other biological parent. However, the parent from which the child was removed is entitled to have the Court ultimately determine which parent is better suited to care for the child in a “G.M. Hearing.” If you or a loved one needs assistance with a G.M. hearing, contact the DCPP defense lawyers at our office for immediate assistance at (908)-356-6900. 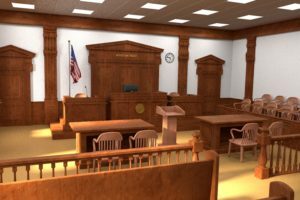 Our seasoned trial lawyers know how the system works and how to best protect your rights in these cases. In fact, one of our attorneys has literally handled hundreds of DYFS cases and worked for two of the largest DCP&P defense firms in the State of NJ before joining the firm in 2018. Now you can hire him to defend you. If you or a loved one has an issue with child protective services in New Jersey, don’t wait. Contact the Tormey Law Firm today, we represent clients throughout Union County including in Elizabeth, Scotch Plains, Union Township, and Linden. The initial consultation is always provided free of charge at (908)-356-6900. If the Division of Child Protection and Permanency removes your child from your custody, DCP&P may then place the child in the care of the other biological parent and request that custody be transferred to the other biological parent. However, the parent from which the child was removed is entitled to have the Court ultimately determine which parent is better suited to care for the child in a “G.M. Hearing.” N.J. Div. of Youth and Family Servs. v. G.M., 198 N.J. 382 (2009). If DCP&P takes custody of your child and places the child with the other parent, you should contact a DCP&P defense attorney to discuss your case and what needs to be done on your part to have the Court return your child to your care. G.M. cases are best understood to be situations wherein the Division removes custody from one parent and places with the other parent but then after DCP&P provides services to the first parent, both parents are capable of safely parenting. The Division will not advocate for one fit parent over the other fit parent: it’s up to the parents to hash it out in Court. During a G.M. hearing, both sides may present material and relevant evidence for the court to determine whether the children may safely be released to the custody of the other parent. Unlike a custody battle in matrimonial court, the child’s Law Guardian will be permitted to advocate for the child and DCP&P will be represented by a Deputy Attorney General and be available to provide, at the Court’s request, information regarding the parent’s services and current living situations. You should also be represented by a DCP&P attorney to protect your rights. Generally, DCP&P will only argue that a child should not be placed with an unfit parent rather than supporting one fit parent over the other fit parent. In other words, if after twelve months from when the Division removed the child from the first parent that parent has not attended services and addressed the issues that led to removal, the Division can request that the Court maintain custody with the other parent. But if the first parent and the other parent are now both fit, DCP&P will not take sides. In certain cases, both parents get along well and there really is no need for a G.M. hearing. That is, the parents agree on their own as to where their child will reside and when the other parent will have visitation. Unfortunately, parents do not always get along well and a G.M. hearing is necessary. If you are involved in a DCP&P case and a G.M. hearing is scheduled regarding your child, you should contact an experienced DCP&P attorney to discuss your case at (908)-356-6900.